In the explicit plan by the fund portfolio managers to consult with universities to continue investing in the market albeit in “divested” portfolios [Document: Do the Investment Math: Building a Carbon-Free Portfolio], Patrick Geddes, Chief Investment Officer of the Aperio Group, compares apples and oranges, presenting two separate arguments, masquerading as one: 1) Is it worth investing in “environmentally sound” funds from a financial standpoint? and 2) Are “environmentally sound” funds environmentally sound? In the document, the first question trumps the second. In fact, the paper, in its entirety, is framed in these terms. The fact that there is no such thing as an “environmentally sound fund” is moot. Rather, it’s all about whether a fund makes profit. The webinar “Do the Investment Math—Building a Carbon-Free Portfolio” explores in detail the risk impact of divesting from a range of carbon-intensive companies, from the Filthy 15 to the Carbon Tracker 200. The panel, moderated by Andrew Behar, CEO of As You Sow, features Geddes (who explores the risk impact of divesting from carbon), and Dan Apfel, Executive Director of the Responsible Endowments Coalition, who highlights the trend of students calling for divestment and college interest in responsible and sustainable investing. Activist Robert Jereski wrote to Apfel of the Responsible Endowments Coalition and asked what the “clean tech” that Apfel speaks of actually is, in precise terms. Apfel’s response is as follows: “We interpret clean tech broadly so that investors can find solutions, but also work hard with students so that we can make sure schools avoid things that we consider to be false solutions – fracking, clean coal, as well as trying to figure out what is a good way to do other investment in clean tech. We’re also trying to bridge the gap to more local investments that are not always seen as investable.” The interpretation is so broad that they are apparently unable to actually define it. In both the webinar and the Q&A period, the word “equity” arises over and over again. Yet in this divestment campaign, brought forward by the oligarchs’ appointed “leader” on climate change, the meaning of equity is that of finance, accounting and ownership. The word equity, as in fairness, does not exist in this patriarchal paradigm: white privilege harnessing climate wealth, as the solution to our global accelerating ecological crisis. 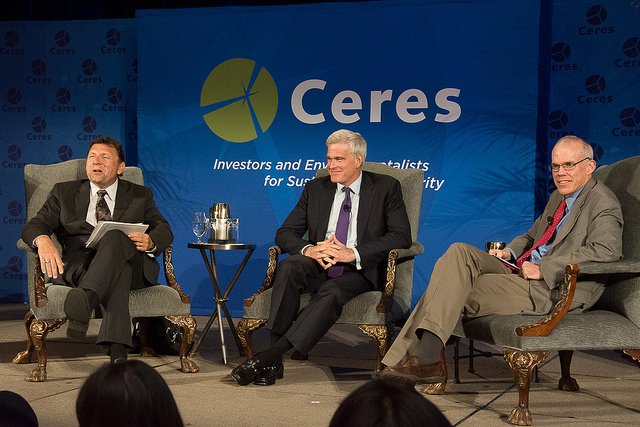 May, 2013: “CalSTRS CEO Jack Ehnes, Generation Investment Management Co-Founder David Blood and 350.org’s Bill McKibben have a lively conversation about how investors can influence the transition to a low-carbon economy.” Ehnes also serves on the Ceres board of directors. 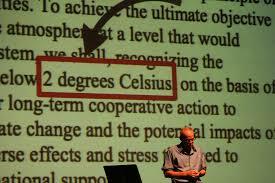 In the same 2013 Ceres presentation, McKibben furthers his irresponsible and negligent lie, basing it on the illusion of staying below a deadly +2ºC within an economic system dependent upon growth and the further allowance of burning fossil fuels. In reality, we’re committed to far past 2ºC today, not including feedbacks, [+2.4ºC, Ramanathan and Feng 2008 paper] and looking at a +6ºC future void of most all life. “No scientist believes the 2 degree limit is safe, just corporate NGOs.” —Chris Shaw, writer/researcher | Note that the red square highlighting “2 degree Celsius” and the arrow appear in the original image/presentation. McKibben proceeds to cite his long-time friend/associate, Bob Massie , an integral supporter/promoter of the 350.org divestment campaign. GRI’s inclusive, multi-stakeholder approach was established early, when it was still a department of CERES. In 1998 a multi-stakeholder Steering Committee was established to develop GRI’s guidance. A pivotal mandate of the Steering Committee was to “do more than the environment.” On this advice, the framework’s scope was broadened to include social, economic, and governance issues. GRI’s guidance became a Sustainability Reporting Framework, with Reporting Guidelines at its heart. The first version of the Guidelines was launched in 2000. The following year, on the advice of the Steering Committee, CERES separated GRI as an independent institution. The second generation of Guidelines, known as G2, was unveiled in 2002 at the World Summit on Sustainable Development in Johannesburg. GRI was referenced in the World Summit’s Plan of Implementation. The United Nations Environment Program (UNEP) embraced GRI and invited UN member states to host it. The Netherlands was chosen as host country. In 2002 GRI was formally inaugurated as a UNEP collaborating organization in the presence of then UN Secretary General Kofi Annan, and relocated to Amsterdam as an independent non-profit organization. Ernst Ligteringen was appointed Chief Executive and a member of the Board. It is of interest to note that the GRI Secretariat is headquartered in Amsterdam, the Netherlands while “Ceres continues to serve as the U.S. advocate for corporate and investor use of the GRI, and Bob Massie from Ceres serves on the GRI board of directors.” [Ceres 2003 Annual Report] The GRI’s Board of Directors  met for the first time on April 3, 2002. The directors included, but were not limited to, representatives from Deutsche Bank Group, Royal Dutch/Shell, Bob Massie for Ceres, and American Federation of Labor–Congress of Industrial Organizations. GRI is financed by its global network; corporate and governmental sponsorships, Organizational Stakeholders, revenue from GRI products and services and its core support and grants from governments, foundations and international organizations including the Swedish International Development Cooperation Agency, the Norwegian Ministry of Foreign Affairs, Germany’s state-owned Deutsche Gesellschaft für Internationale Zusammenarbeit (GIZ) and the Australian government. Previous institutional supporters include the European Commission, Charles Stewart Mott Foundation, UN Foundation, World Bank, International Finance Cooperation (IFC), John D. and Catherine T. MacArthur Foundation, Ford Foundation, Bill and Melinda Gates Foundation, Rockefeller Brothers Fund, Spencer T. and Ann W. Olin Foundation, United States Environment Protection Agency, V. Kann Rasmussen Foundation, the Soros Foundation, and governmental bodies from the United Kingdom, Sweden, Norway, Germany, and Australia. In the above quote, McKibben states “With South Africa liberated, Massie went on to other things.” McKibben either failed to recognize that the transition was from racist apartheid to economic apartheid or, perhaps, simply viewed/views the transition to the hegemonic nature of neoliberalism as a “success.” [Video source: John Pilger, Apartheid Did Not Die. An analysis of South Africa’s new, democratic regime.] It is also imperative to acknowledge that the “attempt” by Massie (as cited by McKibben above) and others within the non-profit industrial complex with their “first attempts to hold businesses accountable for their carbon emissions” has proven to be an epic fail of unparalleled proportions. Despite relentless rhetoric and marketing of such schemes/collaborations/partnerships as success stories, emissions since the launch of the Ceres (1987) and GRI (2000) guidelines have skyrocketed, having increased over 40%; atmospheric CO2 has been pushed to its highest in 15 million years, at an unprecedented rate; ocean acidification has increased 30% with the oceans being acidified faster than at any time in the past 800,000 years and soon, faster than in the past 300 million years. All the marketing and hype will not make this fact any less so. “War is peace. Freedom is slavery. Ignorance is strength.” Failure is success. George Orwell lives on. In 2002, Massie was named one of the 100 most influential people in the field of finance by CFO Magazine. In 2008, Massie was awarded the Damyanova Prize for Corporate Social Responsibility by the Institute for Global Leadership at Tufts University, and in 2009 he received the Joan Bavaria [founder of Ceres] Innovation and Impact Awards for Building Sustainability in Capital Markets. In March 2012, Massie became the president of the New Economics Institute. If the voluntary approach as described above has “proven far more effective and efficient at improving social, environmental and human rights performance than traditional regulatory methods alone,” it is hard to imagine what a failure would look like as we edge ever closer towards the final curtain call on what many scientists refer to as Earth’s sixth extinction or the Holocene Extinction . 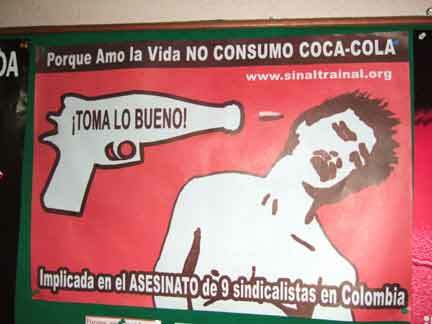 If Coca-Cola and other like-minded corporate psychopaths receive accolades under the Ceres banner of “[H]uman rights performance” (which they do) as they continue to assassinate union leaders in Latin America, what does Ceres consider to be human rights violations? Ceres, although clearly audacious, also understands the psychology of one pining for and readily accepting what one wishes to hear – regardless of whether the facts state otherwise. Like kittens lapping up a bowl of fresh milk, psychopaths have a tendency to lap up such luxurious lies. 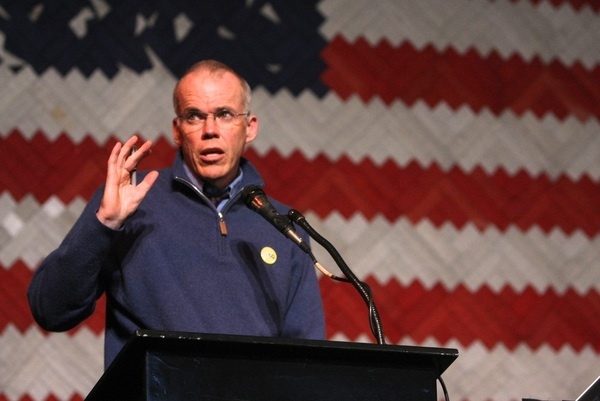 In the divestment lecture by McKibben and Massie titled Divestment and the New Economy, it is relatively easy to understand why activists, well-intentioned students and citizens are easily seduced. Language is everything and both McKibben and Massie are extraordinarily experienced, perhaps even gifted, at using palatable and acceptable terminology. Key words that are recognized by many as false solutions (i.e., “green economy”) are omitted, with terms such as “sustainable enterprises” and “fossil-free portfolios” used and exercised in their place. Yet, what is far more stealthy is the language that is purposely omitted: critical discussion as to how colonialism, imperialism, racism and patriarchy are propelled forward and normalized in our commodity culture, via non-fossil fuel investments. Under the economic system of industrialized capitalism, infinite growth of any investment dependent upon Earth’s natural resources is not, and cannot be made to be, sustainable. This is the elephant in the room that no one dares speak of. In light of this top news story of 2004 applauding Southern Company’s corporate responsibility, one might wonder, eight years later, how this lauded corporation has since evolved. Most all social fund portfolios claim that the funds will consider a company’s performance with respect to environmental responsibility, labor standards, and human rights. This claim must be acknowledged as nothing but marketing rhetoric given Coca-Cola – one of the top offenders on environment degradation, labor and human rights on the planet – is considered a “socially responsible” investment. 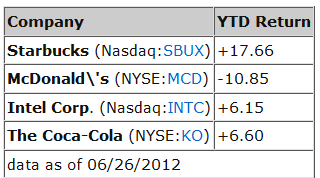 The idea that one can divest from Suncor and Exxon and re-invest it into top ranked socially responsible dividend stock such as Pepsi and McDonald’s, and that this is going to somehow develop a “sustainable” economy that will help tackle climate change, is more than a little hopeful. It’s delusional. Don’t like Pepsi? How about Apple? 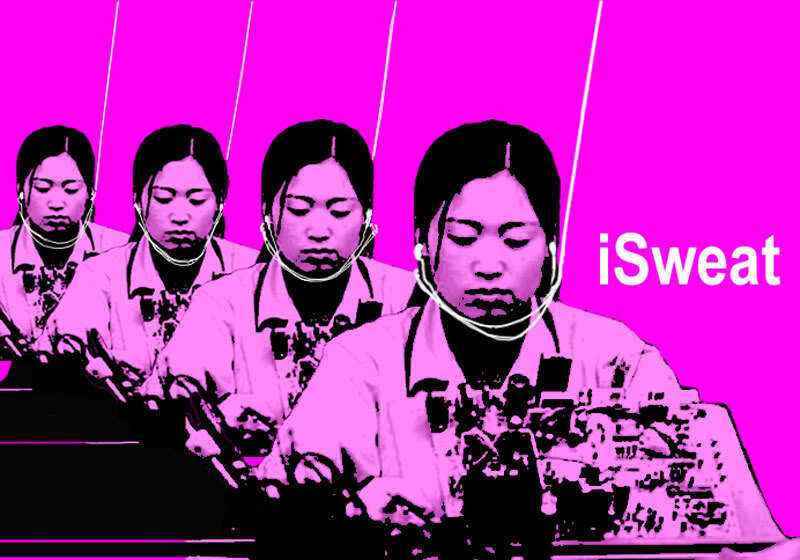 One need not worry about the modern day slaves in China jumping to their deaths from the sweatshop rooftops, just click over to SumOfUs where you can click a petition “to Apple telling them to make the iPhone 5 ethically.” [SLIDESHOW: 25 Top Ranked Socially Responsible Dividend Stocks, Nov. 22, 2013] All is good for the privileged hyper-consumer in the world of make-believe where “real change” is only a click away. Make no mistake, one can divest from Exxon and reinvest in Coca-Cola, but infinite growth – a requirement of the industrialized capitalist system – will not and cannot become tamed under a “good” investment or a “bad” one. Nor can the violence and oppression upon the world’s most vulnerable and Earth’s ecosystems, also inherently built into the system. “On the other hand, some say that no large company is completely clean — some are just “less bad” than others. For example, the largest plastics recycler in the world is also the largest producer of virgin plastic. And while producing bicycles is a laudable goal, critics allege that a major bicycle manufacturer uses sweatshop labor to produce its bikes…. The irony is grandiose: “Avoids investing in companies that directly support governments that systematically deny human rights.” If this were true, most every U.S. corporation would be “avoided” seeing that the U.S. government has the most appalling history of human rights abuses of all states in the entire world. Never has a single country inflicted so much pain and suffering in almost every corner of the globe. 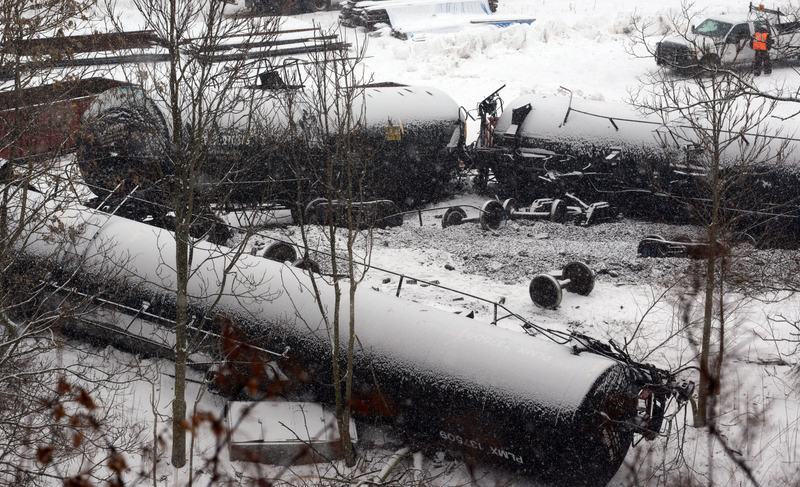 February 13, 2014: A 120-car Norfolk Southern Corp train carrying heavy Canadian crude oil derailed and spilled in western Pennsylvania. On January 6, 2005 a Norfolk Southern train hauling chlorine through Graniteville, South Carolina, derailed. The result was toxic gas that poured into the town. Nine people lost their lives on the day of the accident. On June 10, 2010, a Norfolk Southern train derailed in Liberty, SC spilling toxic substances. “Imagine an organic food trade association any company could join. Members set the standards to suit themselves. Thus, any store or company can label their products ‘organic’ if they choose because there are no rules defining what organics mean. If your company does anything to improve its production methods, no matter how inconsequential, it qualifies for membership and can use the word ‘organic’ on its labels. 1. The cumulative investment portfolio of the combined SRI funds is virtually no different than the combined portfolio of conventional mutual funds. 2. The screening methodologies and exceptions employed by most SRI funds allow practically any publicly-held corporation to be considered as an SRI portfolio company. 3. Fund names and literature can be deceptive, not reflecting the actual investment strategy of the managers. 4. SRI in advertising caters to people’s desires to improve the world by avoiding bad actors in the corporate world, but it can be misleading and oftentimes has little correlation to portfolio holdings. 5. There is a lack of transparency and accountability in screening and portfolio selection. 6. The ability for investors to do market-based comparisons of different funds is difficult if not impossible. 7. There is a strong bias towards companies that aggressively pursue globalization of brands, products and regulations. 8. The environmental screens used by the portfolio managers are loose and do little to help the environment. 9. The language used to describe SRI mutual funds, including the term “SRI” itself, is vague and indiscriminate and leads to misperception and distortion of investor goals. 10. Although shareholder activism is cited as a reason to invest in SRI mutual funds, few SRI mutual funds engage in shareholder advocacy or sponsor activist shareholder resolutions. The top ten equity holdings of Highwater are: Apple; Banco Bradesco; Cisco; EnerNOC; Ford Motors; Hyflux; Natura Cosmetics; Novozymes; SSL International; and Vivo Participacoes (Highwater Global Fund, 2010). Although addressing poverty appears to be a predominant area of interest in Hawken’s extensive CV, those with limited funds need not contact Highwater Global Fund anytime soon. The minimum investment bar creates yet another exclusive venue where only the monetarily rich have access to Highwater’s services, furthering class distinction and division. It’s not that Highwater or Portfolio 21 are “evil,” rather, it is simply the nature of capitalism. The nature of the beast. Profit comes first. It is somewhat ironic that Ceres was launched in 1989 (presented to the public as The Valdez Principles), exploiting the Exxon Valdez spill to build its own brand recognition and value as the corporate watchdog. Jump forward to the April 20, 2010 BP oil spill, which is considered the largest, most catastrophic, accidental marine oil spill in history – surpassing the cataclysmic Exxon oil spill of 1989. How many people know that up until this disaster, BP was a top holding SRI fund. Also not to be forgotten as a top holding SRI investment before its demise in 2004 was none other than Enron – the poster child for corporate malfeasance. The December 27, 2012 article (Greenbiz), Why 350.org’s divestment campaign is on the money, is written by Michael Kramer of Natural Investments, another firm of mention in the 350.org divestment documents (Institutional Pathways to Fossil Free Investing). The transferring of investment funds from fossil fuel investments to SRI investments is not a solution to our unparalleled ecological crisis, with the planet already having crossed a multitude of planetary boundaries. Rather, it is a two-fold distraction with epic consequences. First, it distracts from the very root causes of our ecological/planetary crisis. Second, under this veil, the illusory “green economy,” – the commodification of the planet – is going forward, full throttle, with almost no opposition. This brilliant and diabolical marketing feat employing behaviour change strategies is being carried out by the organizations, firms and NGOs working with and promoting the divestment campaign, while on the surface, 350.org’s “hands” remain clean. SRI fund promoters are not activists. One must never lose sight of the simple fact that their primary duty as a fiduciary is maximum shareholder return. The SRI industry is not interested in reversing the anguish resulting from colonialism, imperialism, racism, patriarchy, oppression and decimation of environment, as all of this ugliness is inherently built into the system (which then externalizes these costs). The task at hand is the continuance of individualism and greed, normalized into a commodity culture, where all those with monetary means can acquiesce in our collective path to self-destruction. Such a vogue fabrication of, in essence, a kinder, gentler, more compassionate capitalism, is achievable and even preferred in a corporatized society where lies are preferred over truth. Exquisite fabrication, wrapped in opaque vellum, bestowed with a shimmering green bow. It’s not high-gloss marketing over philosophy. High-gloss marketing is the philosophy. ROGER ADAMS (United Kingdom) Executive Director-Technical, Association of Chartered Certified Accountants, JACQUELINE ALOISI DE LARDEREL (France) Assistant Executive Director, United Nations Environment Programme, Division of Technology, Industry, and Economics, FABIO FELDMANN (Brazil) former Secretary of Environment, São Paulo, TOSHIHIKO GOTO (Japan) Chair, Environmental Auditing Research Group, JUDY HENDERSON, CHAIR (Australia) immediate-past Chair, Australian Ethical Investment Ltd, former Commissioner, World Commission on Dams HANNS MICHAEL HÖLZ (Germany) Global Head of Sustainable Development and Public Relations, Deutsche Bank Group, JAMSHED J. IRANI (India) Director, Tata Sons Limited, ROBERT KINLOCH MASSIE (United States) Executive Director, CERES, MARK MOODY-STUART (United Kingdom) retired Chair, Royal Dutch/Shell, ANITA NORMARK (Sweden) General Secretary, International Federation of Building and Wood Workers, NYAMEKO BARNEY PITYANA (South Africa) Vice-Chancellor, University of South Africa, former Chair, South African Human Rights Commission BARBARA SHAILOR (United States) Director of International Affairs, American Federation of Labor–Congress of Industrial Organizations, BJORN STIGSON (Sweden) President, World Business Council for Sustainable Development PETER H.Y. WONG (China) Senior Partner, Deloitte Touche Tohmatsu, Hong Kong; and Board Member, International Federation of Accountants.